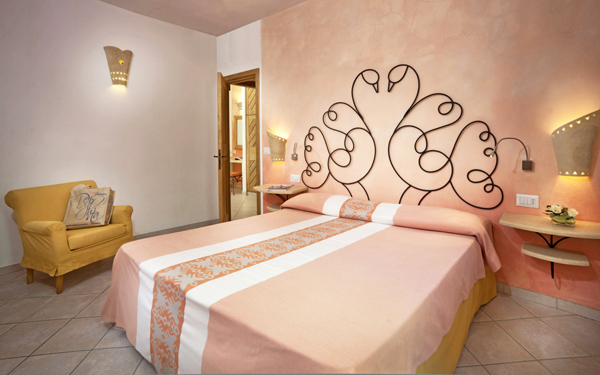 The Hotel Le Sabine is an exclusive 4 star superior hotel within the Resort Le Dune at Badesi Marina, in the North of Sardinia. Created for those looking for relaxation and privacy, the Hotel Le Sabine is set in an area close to the Le Sabine Wellness Centre SPA, perfect for combining the comfort offered by the hotel and the services and energy of the resort. 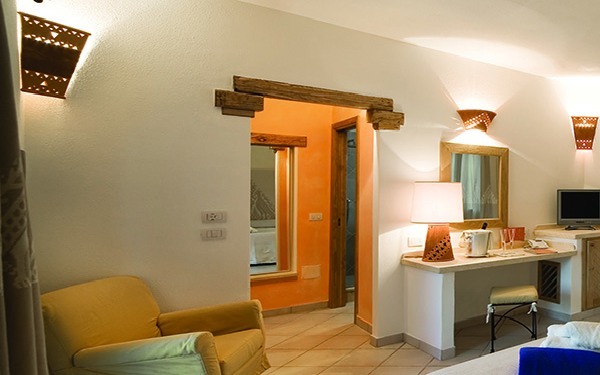 An elegant reception area, the bar directly by the pool and rooms enhanced by the fashionable lines of the stylish modern Sardinian furnishing are all guaranteed to ensure an unforgettable holiday in Sardinia. A generous and imaginative breakfast with buffet service on the panoramic terraces of the Il Leccio Restaurant overlooking the pool. For dinner there is the option of booking at the Il Leccio Restaurant at no extra charge. 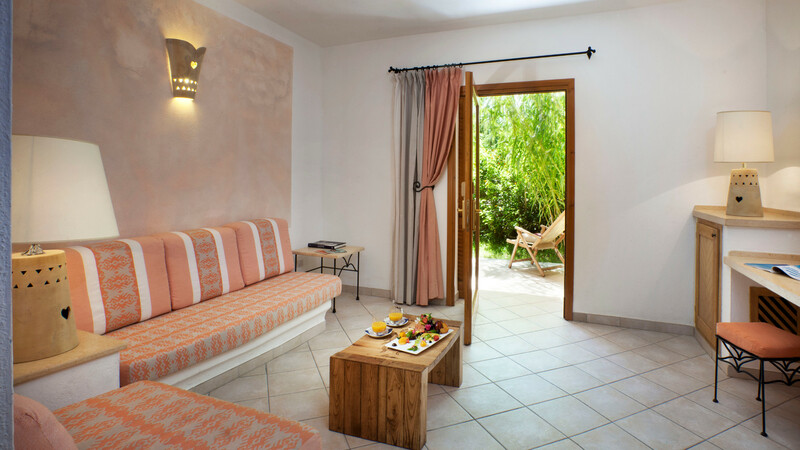 During your stay at the Hotel Le Sabine a free beach service is included with sun loungers and parasols. Beach service on the first and second row carries an extra charge, depending upon availability. 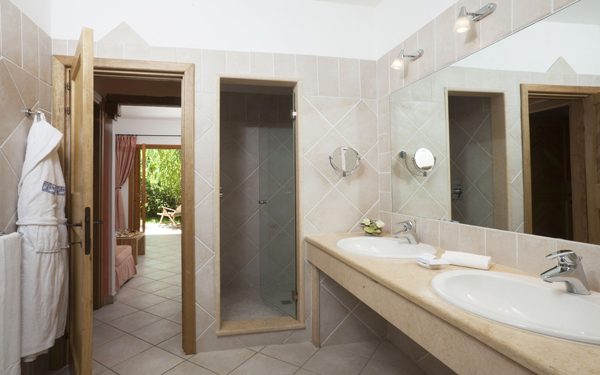 All the rooms are carefully decorated by expert local craftsmen and have a fully equipped veranda with view of either the resort’s gardens or the swimming pool, bathroom with shower and hairdryer, air conditioning, safe, TV, telephone, minibar, bathrobes for adults and beach towels. Elegant room with double bed (twin beds available on request). For two adults with the option of sleeping a child aged from 0 to 1 year old. On request it is possible to accommodate a child up to 5 years old. Spacious room with double bed and separate living room with built-in single sofa bed and single sofa bed, large bathroom and 2 TVs. It can sleep up to four adults plus a child aged from 0 to 1 year old in a cot.